Nine of the churches being helped are on the Historic England ‘Heritage at Risk Register’. 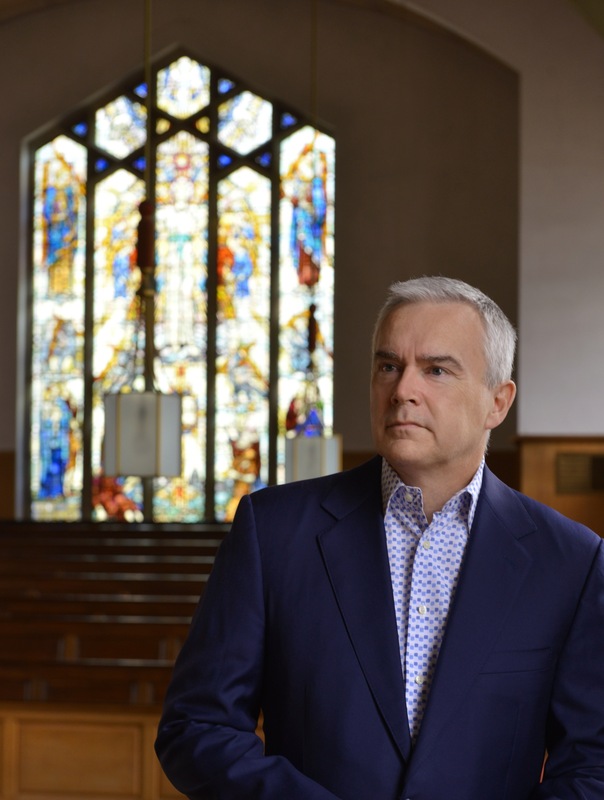 The churches and chapels are sharing in a £323,687 funding payout. The grants are the first to be made in 2019 by the National Churches Trust. In 2018 the National Churches Trust awarded grants of £1.2 million to help 202 projects at churches and chapels around the UK. 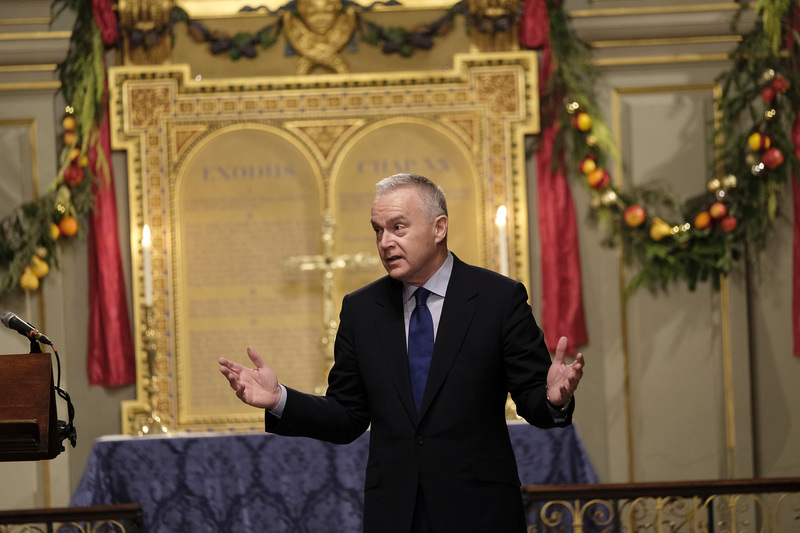 Demand for funding from the National Churches Trust continues to grow, with a 23% increase in applications since 2017. Our work is made possible by the generosity of our Friends and supporters, including Trusts and Foundations. Why not help us to save more churches by making a donation or by becoming a Friend. Full details of the 20 Cornerstone Grants awarded can be found below. In addition 14 Gateway and Foundation Grants were awarded to fund a range of church building maintenance and development projects. A £20,000 National Churches Trust Cornerstone Grant will help fund an internal porch to house a disabled toilet and a servery helping the church to better serve its local community. The improvements will help to remove the building from Historic England’s ‘Heritage At Risk’ Register. The church of St John the Evangelist, Taunton was built to serve Tangier, a poor district on the west side of the town. Costing £12,000 the church was consecrated in 1863, having been built by the renowned architect Sir George Gilbert Scott (1811 - 1878). Sir Gilbert Scott's other buildings include the Natural History Museum, Albert Memorial, Houses of Parliament, and Keble College, Oxford. St John’s is an extraordinarily imposing example of his work from the peak of his career, and is listed Grade I.
Grade I Listed – On the Historic England ‘Heritage At Risk’ Register. 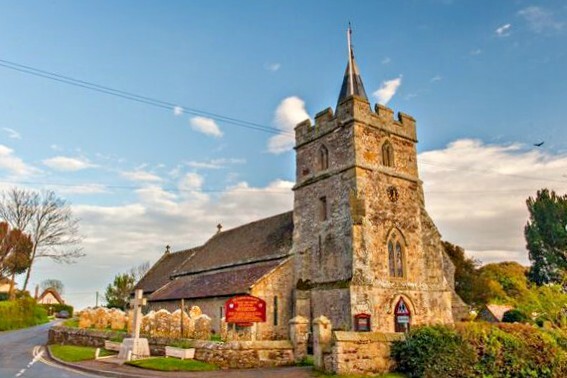 A £10,000 National Churches Trust Cornerstone Grant will help fund a project for the installation of a kitchen and toilet, as well as repairs to the stonework of the tower and a replacement for the tower roof at the Grade I listed St Bartholomew church, Moreton Corbet, helping the church to better serve its local community. The work will help to remove the building from Historic England’s ‘Heritage At Risk’ Register. St Bartholomew’s church, a Grade I listed building, forms part of a group of nationally important buildings at Moreton Corbet in Shropshire. Adjacent to the church is Moreton Corbet Castle, with its impressive ruins of Elizabethan state apartments. 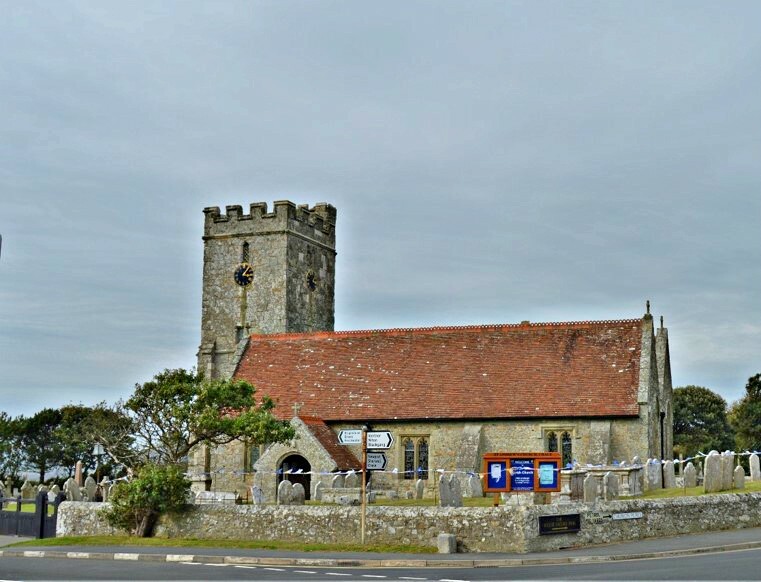 A £15,000 National Churches Trust Cornerstone Grant will help fund roof repairs and repairs to rainwater goods at the Grade I listed St Mary's church, Brighstone, making the church watertight and preserving its historic fabric. Dating back to the 12th century St Mary's is a Grade I listed building rich in history, boasting four impressive Norman arches. Most of the west end of the church, including the base of the tower, was built in the 14th and 15th centuries of locally quarried Island Stone. There are memorials in the church to three former rectors who went on to become Bishops. Thomas Ken, a famous hymn writer (Awake My Soul); Samuel Wilberforce, son of William Wilberforce, the anti-slavery reformer and George Moberly, the first Bishop to hold a Diocesan Synod. William Fox, the famous pioneering palaeontologist, was curate at Brighstone. A £10,000 National Churches Trust Cornerstone Grant will help fund the installation of an extension with an accessible toilet and a modern kitchenette at the Grade I listed St Mary and the Holy Host of Heaven church, Cheveley, helping the church to better serve its local community. The dedication of the church to St Mary and The Holy Host of Heaven is believed to be unique. The Grade I listed church was built in the 13th century. Unusually it has a cruciform shape design (shaped like a cross). Such cruciform plans are more often seen in great cathedrals, for example Ely, rather than in a parish church. The project will support the external extension of the south transept to allow for the installation of an accessible toilet and baby changing facilities. In addition a small lobby with overhead storage and level access from within the church will be added and a modern kitchenette built in the south transept. 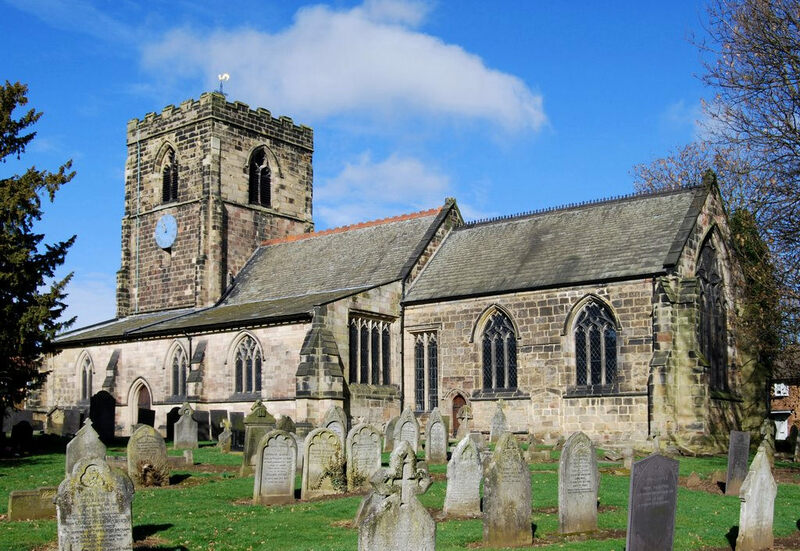 A £20,000 National Churches Trust Cornerstone Grant will help fund the replacement of the slate roofs and repair the lead on the tower roof at the Grade I listed St Mary's church, Chaddesden. The work will make the church watertight and preserve its historic fabric, helping remove the building from Historic England’s ‘Heritage at Risk’ Register. 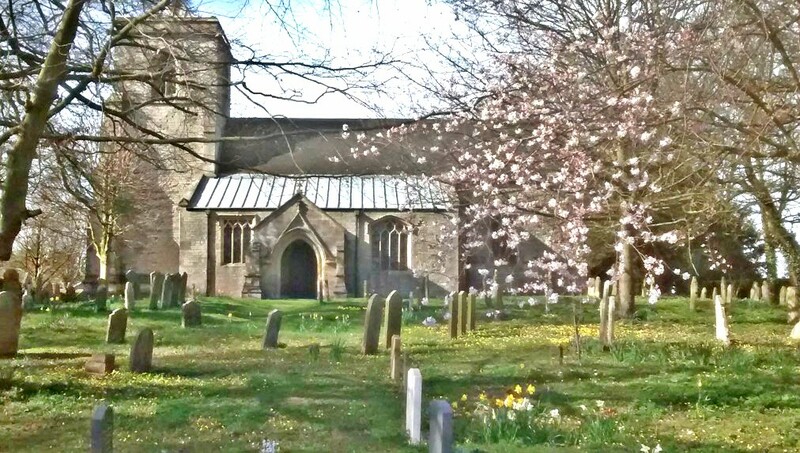 Grade I listed St Mary's has been the parish church of Chaddesden since at least 1347 AD. The chancel of the present building dates from that period, with the nave, aisles and tower being later additions. In the Victorian era the church building was refurbished, with alterations to the height and pitch of the roof. In the Edwardian era, there was further work with additional wood panelling and a reredos added to the chancel. The project will focus on replacing the roof slates over the aisles and the nave and repairing the lead on the tower roof. It includes improving the rainwater goods to protect the new roofs. 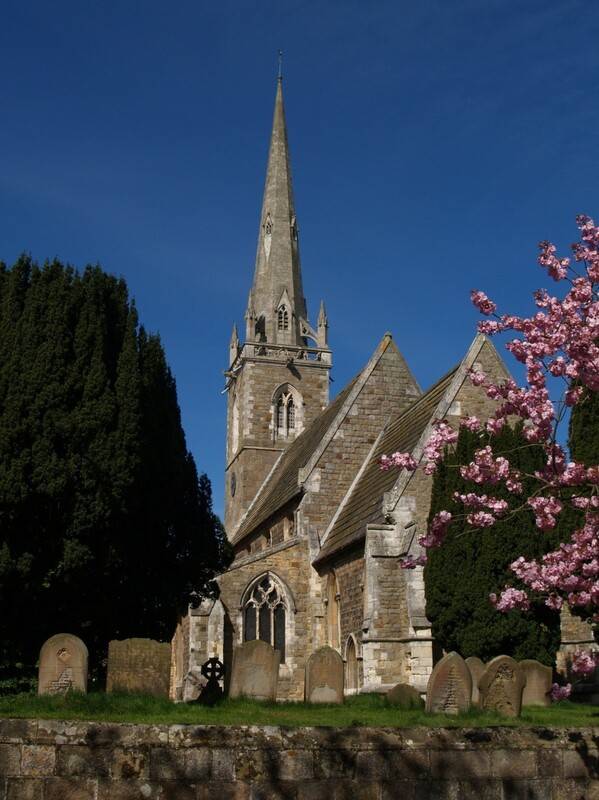 An £8,000 National Churches Trust Cornerstone Grant will help fund an extension to the north side for the Grade I listed St John the Baptist church, Mount Bures to install a servery and toilet, helping the church to better serve its local community. The dedication to St John probably stems from the church’s proximity to the River Stour. Parts of the 800 year-old building feature bricks fired by the Romans. The project will allow for a small extension to be built, re-opening a mediaeval doorway to the north side of the church. A fully-accessible toilet and a servery will be installed in the church. 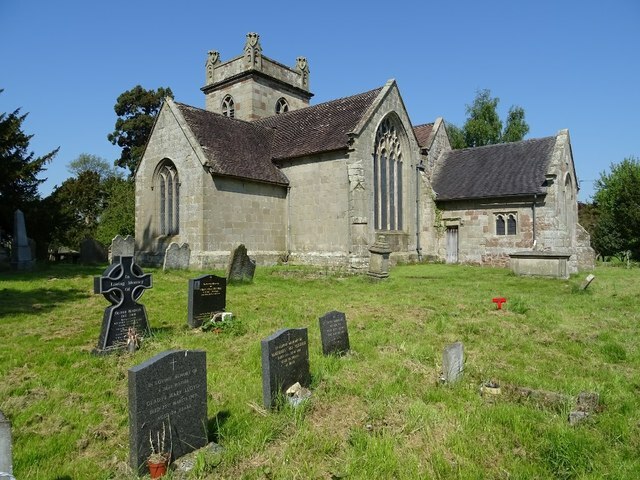 A £10,000 National Churches Trust Cornerstone Grant will help fund the replacement of roof tiles and rectify defective stonework at the Grade II listed St John the Baptist church, Pitchcombe, making the church watertight and preserving its historic fabric. St John the Baptist serves as an important part of village life, with its thriving and cohesive community, all the more so since the village has lost its school, shop and pubs. St John the Baptist is a Grade II listed church built in 1819. The chancel and south porch were added in 1867. It stands on the site of a medieval church, known as the Pitchcombe Cradle. St John’s retains four large stone tablets dating from the 17th century, showing the Creed, the Lord's Prayer and the Ten Commandments. 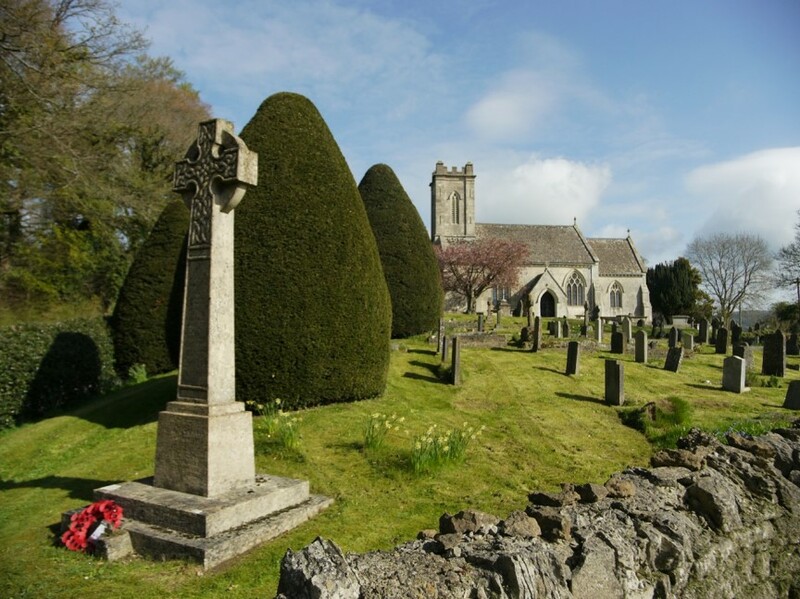 The church is situated in the Cotswolds Area of Outstanding Natural Beauty and overlooks the beautiful Painswick Valley. Over the 200 years since the present building was constructed there are known to have been several projects to repair the roof slopes. However, most of the natural Cotswold stone roof tiles, some of which probably date back to the original roof, have now eroded to the point at which they need to be replaced. The project will support the work to repair the roof and rectify defective stonework. A £15,000 National Churches Trust Cornerstone Grant will help fund the installation of toilet facilities and a new kitchen at the Grade II* listed St Andrew's church, Chale, helping the church to better serve its local community. The Bishop of Winchester dedicated St Andrew’s, Chale, in 1114. The building is largely medieval with Victorian extensions. There are many interesting memorials in the church including one dedicated to members of 40 Marine Commando and the crew of HMS Fidelity, who trained in Chale during World War II. The crew included First Officer WRNS Madeline Barclay, possibly the only woman to die while serving aboard a Royal Navy ship during the war, all of whom died when Fidelity was torpedoed off the Azores in 1942. The project will help toilet facilities with disabled access in the former north porch. In addition, a kitchen will be fitted to the west wall. The church served as a centre of defence for the village against French invasions. Parish records cite "arrows" and "pikes" being stored in the church and in 1543 a brass gun housed in a gun house. St Mary's has strong connections with the sea. Many of the church’s roof timbers were taken from local shipwrecks. In the churchyard, gravestones tell the stories of men who rescued people from shipwrecks and sadly includes the memorials to three small children who drowned picking winkles on the beach. The project will address the very poor condition of three areas of the church roof, caused by continual weathering over many decades, focusing on repairs to the roof and water drainage systems. 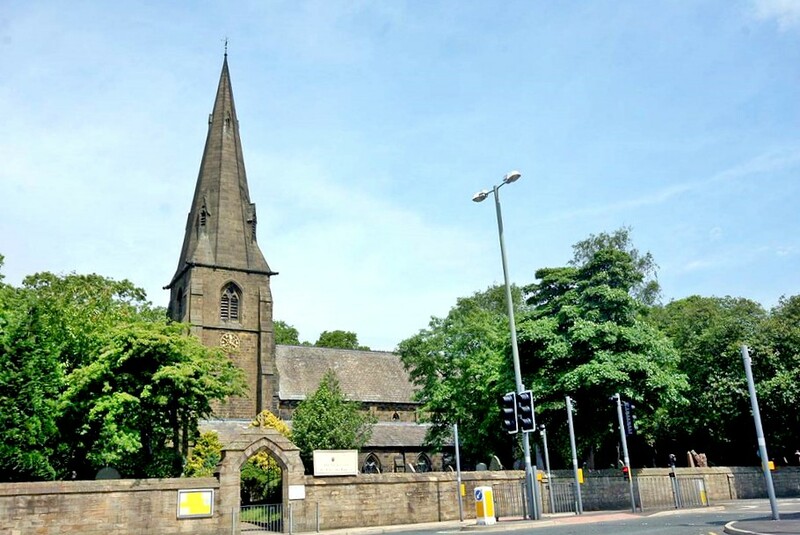 A £10,000 National Churches Trust Cornerstone Grant will help fund repairs to the tower and spire at the Grade II listed All Saints' with St Johns West Burnley, making the church watertight and preserving its historic fabric. The church was built in the mid-19th century and was paid for by two local noble families. The Shuttleworth family of Gawthorpe Hall gave the land, and the Dugdale family, who were the local mill owners of Lower House, gave the money. Despite this rather 'well to do' patronage, the church's first vicar, Mr Verity, was a great supporter of the development of trade unionism and had a real commitment to the poor. The project will focus on repairs to the tower, spire and internal fabric of the church, which is suffering from extensive water ingress, with water cascading down the interior of the tower into the rooms below. The project will repair the damage to the masonry which is affecting the stability of the spire and to replace structural timbers. 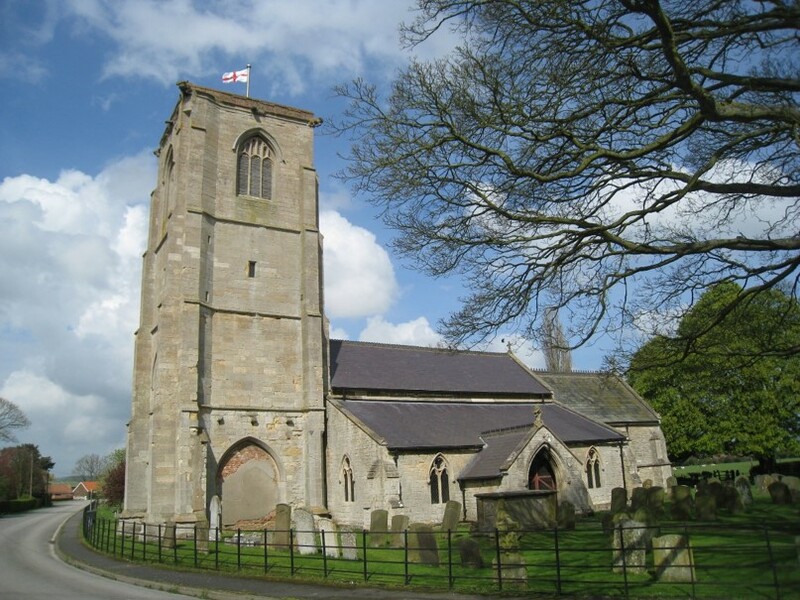 A £13,000 National Churches Trust Cornerstone Grant will help fund install a water supply, toilet and servery at the Grade II* listed St Helen's church, Stickford, helping the church to better serve its local community. St Helen’s church, Stickford, Lincolnshire is a Grade II* building which dates back to the 13th century. The north arcade and part of the north aisle survive from this time, with a 14th century south arcade. Medieval pew ends featuring carved poppy heads are of particular interest, some of which have recently undergone conservation treatment at Lincoln University. These are on display in the north aisle. Currently the church has no running water, so the project will support plans to install a water supply, toilet and servery thus enabling the church to hold more community events. 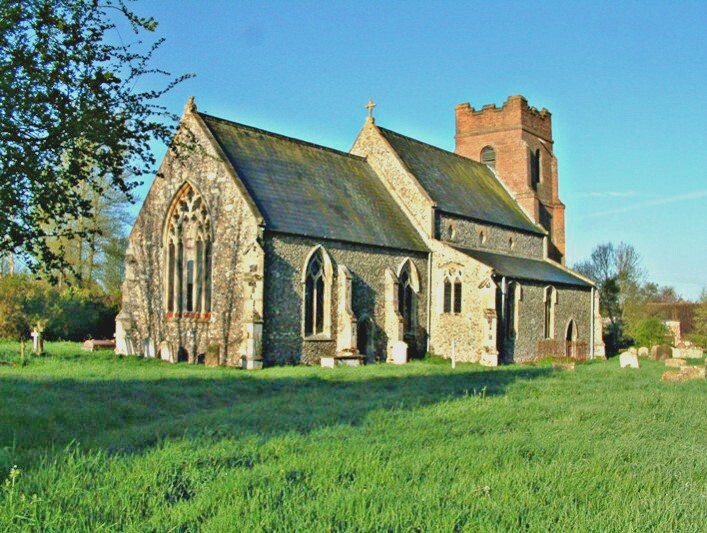 A £14,000 National Churches Trust Repair Grant will help fund the installation of a kitchen and toilet at the Grade II* listed St Peter and St Lawrence church, Wickenby, helping the church to better serve its local community. 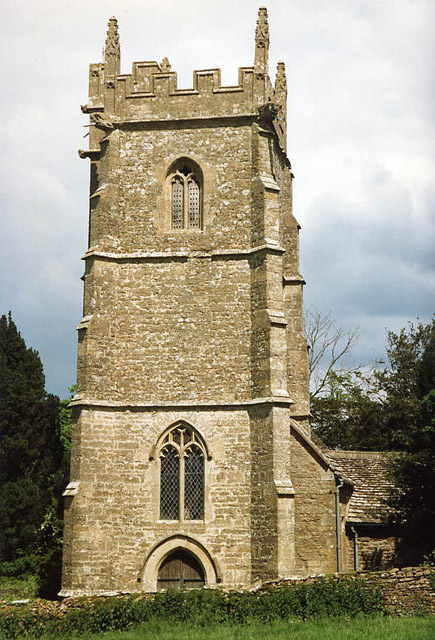 The parish church of St Peter and St Lawrence is mentioned in the Domesday Book and has been at the centre of the rural community ever since. The Grade II* building dates mainly from the 13th century, but features a font which is believed to be of Saxon origin. The church contains some fine stained glass and monuments, including early 14th century stained glass depicting three medieval family shields including that of the influential Percy family. St Peter and St Lawrence is the only public building where people can gather in this isolated rural community. The church is used for some community activities, but these are limited by the lack of kitchen and toilet facilities in the building. Consequently the project will support the installation of a kitchen in the base of the tower, and a toilet. A £10,000 National Churches Trust Cornerstone Grant will help complete urgent repairs to the roof at the Grade II listed All Saints' church, Newton on Ouse, making the church watertight and preserving its historic fabric which will help remove the building from Historic England’s ‘Heritage At Risk’ Register. There has been a church in Newton on Ouse since Saxon times. The present church features a spire built on top of the very much older tower, which is the only remaining part of the church built 900 years ago. The current Grade II listed building dates from 1849 and was commissioned by the Hon. Lydia Dawnay in 1848. The York architect, George Townsend Andrews, prepared the designs. Andrews had already made his name as architect to the Railway King, George Hudson, for whom he built many of the larger North Eastern Railway Stations. The project will support urgent repairs to the north aisle roof. In addition, repairs will be made to the upper stonework and re-leading windows in the building. 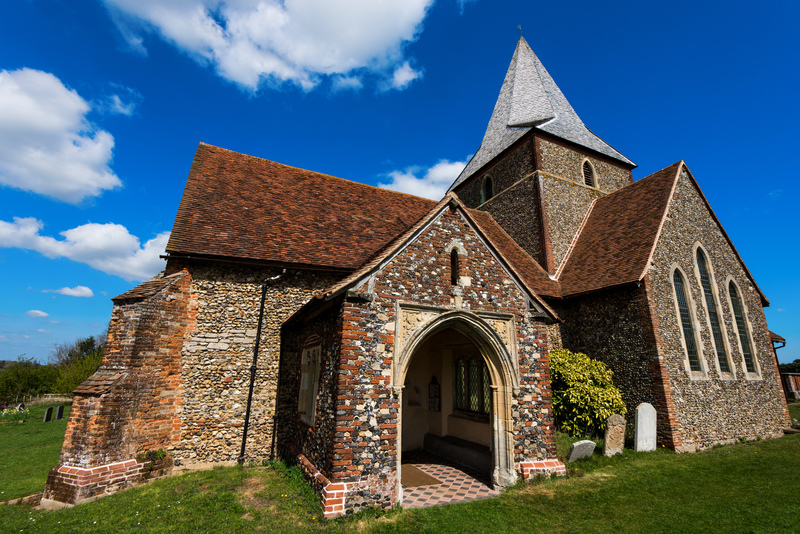 A £10,000 National Churches Trust Cornerstone Grant will help fund repairs to the nave and chancel roofs at the Grade I listed St Peter & St Paul's church, Watford Village. The work will make the church watertight and preserve its historic fabric, thus helping to remove the building from Historic England’s ‘Heritage at Risk’ Register. St Bartholomew’s, a Grade I listed building, forms part of a group of nationally important buildings at Moreton Corbet in Shropshire. Adjacent to the church is Moreton Corbet Castle, with its impressive ruins of Elizabethan state apartments. The church offers visitors an insight into the history of the Corbet family who built the castle. Thomas Farnolls Pritchard, the architect of Ironbridge and Coalbrookdale, recognised as the birthplace of the Industrial revolution, carried out work here. Inside the church, the nave and chancel originated in the late Norman period. The south aisle is a memorial chapel to the Corbet family and was constructed in the mid-14th century. The project will support work to install a new kitchen and toilet, together with a water supply. There will also be repairs to the stonework of the tower and a replacement for the tower roof. A £20,000 National Churches Trust Cornerstone Grant will help fund an internal porch to house a disabled toilet and a servery at the Grade I listed St John the Evangelist church, Taunton, helping the church to better serve its local community. The improvements will help to remove the building from Historic England’s ‘Heritage At Risk’ Register. The church of St John the Evangelist, Taunton was built to serve Tangier, a poor district on the west side of the town. 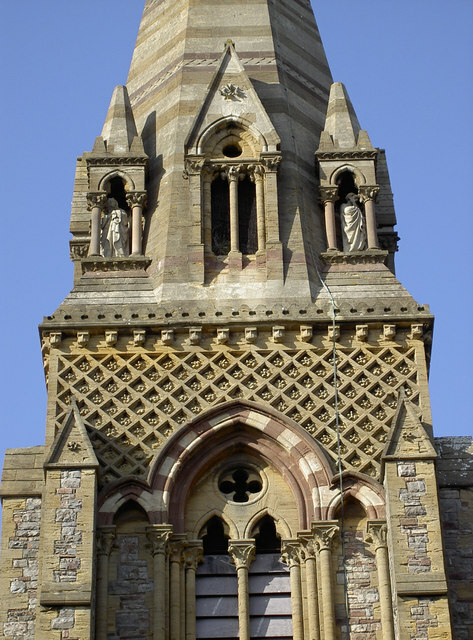 Costing £12,000 the church was consecrated in 1863, having been built by the renowned architect Sir George Gilbert Scott (1811 - 1878) who began practice in the late 1830s and became the most successful architect of his day. Sir Gilbert Scott's other buildings include the Natural History Museum, Albert Memorial, Houses of Parliament, and Keble College, Oxford. St John’s is an extraordinary imposing example of his work from the peak of his career, and is listed Grade I. The project involves the installation of an internal porch at the west end of the church, housing a disabled toilet and flower arranging facilities to one side of the main entrance and a servery on the other side. A £17,000 National Churches Trust Cornerstone Grant will help fund repairs to the roof at the Grade II* listed St Stephen's church, Charlton Musgrove, making the church watertight and preserving its historic fabric. Work began on the church in the 13th century. St Stephen’s features an impressive collection of gargoyles. This project will support repairs to the roof which are urgently needed, and will in turn help to remove the building from Historic England’s Heritage At Risk Register, on which it is listed at Category D (slow decay). 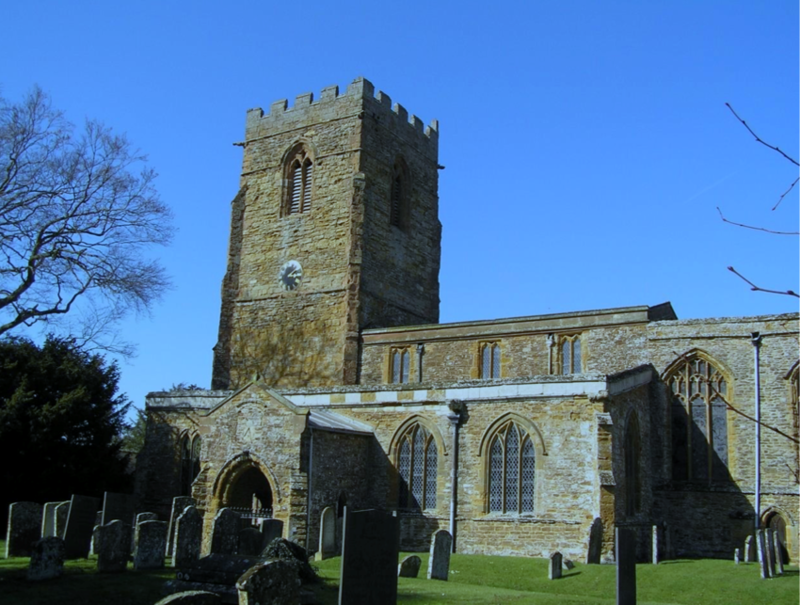 A £24,000 National Churches Trust Cornerstone Grant will help remove, restore and conserve the windows and repair deteriorated stonework at the Grade II* listed All Saints' church, Drinkstone, making the church watertight and preserving its historic fabric. All Saints’ has served as a village church since the 14th century and was built on the site of a Saxon church recorded in the Little Domesday Book. The church has some finely carved pews featuring iconic animals and figures and a notable Victorian stained glass east window. In the 18th century, the painter Gainsborough was summoned to paint a portrait of a rich local businessman, Joshua Grigsby, who had built for himself a grand house at Drinkstone Park. The project will help fund the conservation of a number of windows and at the same time to repair and conserve their deteriorated stonework. A £20,000 National Churches Trust Cornerstone Grant will help fund roof and rainwater goods repairs at the Grade II* listed St John the Evangelist church, Bury St Edmunds, making the church watertight and preserving its historic fabric. Consecrated in 1841, St John’s was originally built to serve the area of artisan dwellings created as the town of Bury St Edmunds spread northwards during the early Victorian period. The church was designed by William Ranger and is one of his most important ecclesiastical building designs. 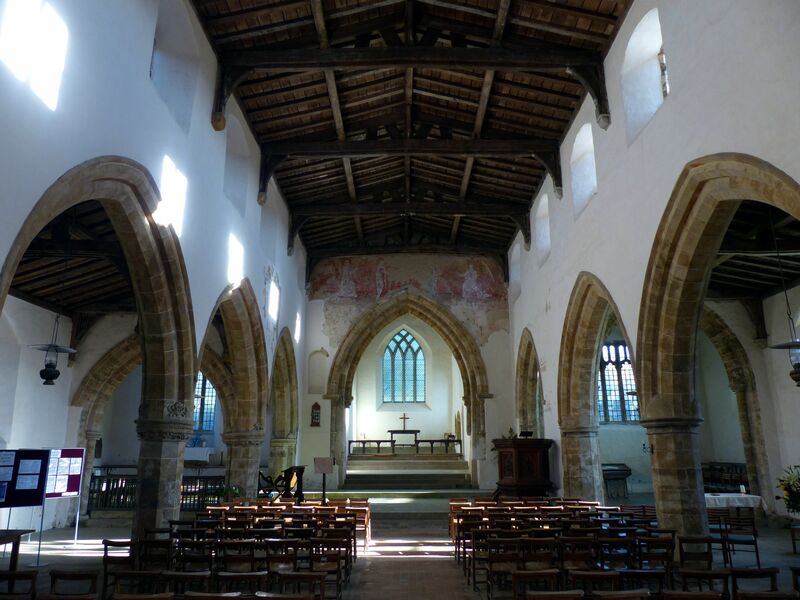 A £10,000 National Churches Trust Cornerstone Grant will help fund the installation of a servery at the Grade I listed All Saints' church, Burton Dassett, helping the church to better serve its local community. 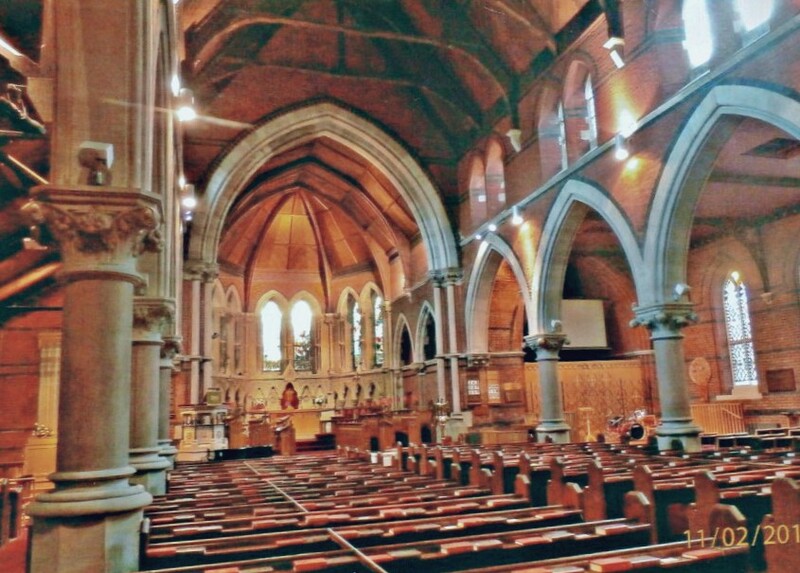 All Saints is a very popular venue and is used regularly for concerts, weddings, christenings, funerals and a variety of church, social and community events. 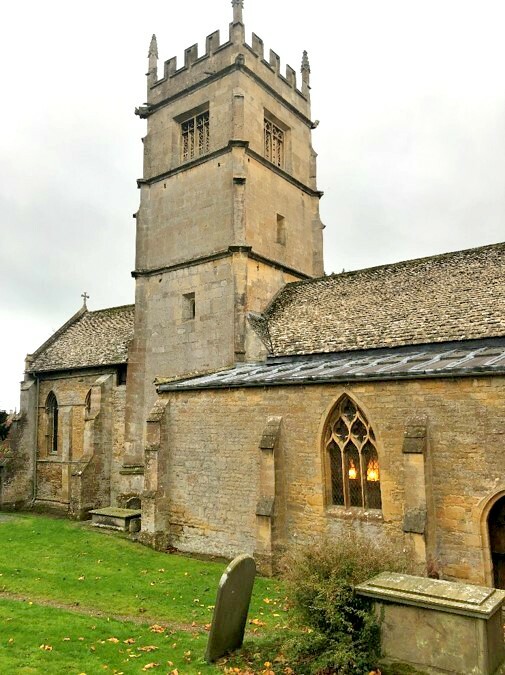 A £10,000 National Churches Trust Cornerstone Grant will help fund the installation of a toilet and refreshment area at the Grade I listed St Faith's church, Overbury, helping the building to better serve its local community. 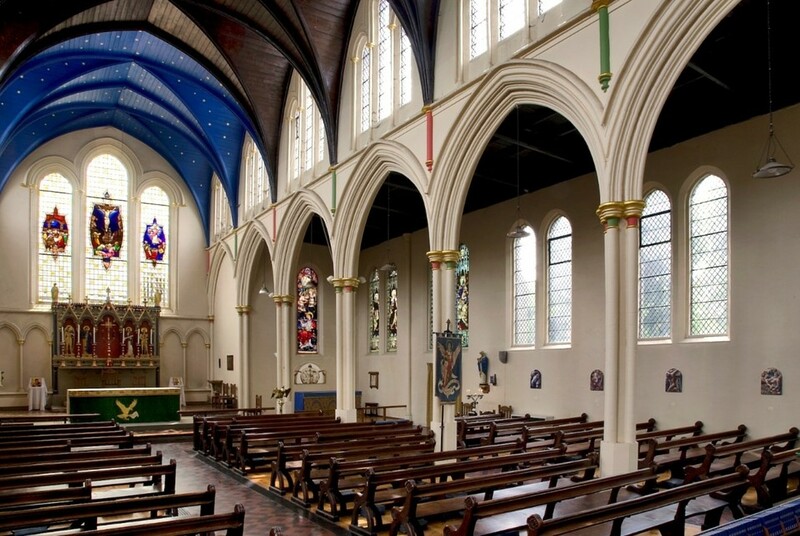 Situated in the Cotswold Area of Outstanding Beauty, St Faith’s, a Grade I listed building can seat up to 200 people. Parts of the building date from the 11th Century. In 1040, a massive double row of stone columns was erected. The Normans also installed a font with carved stone panels. 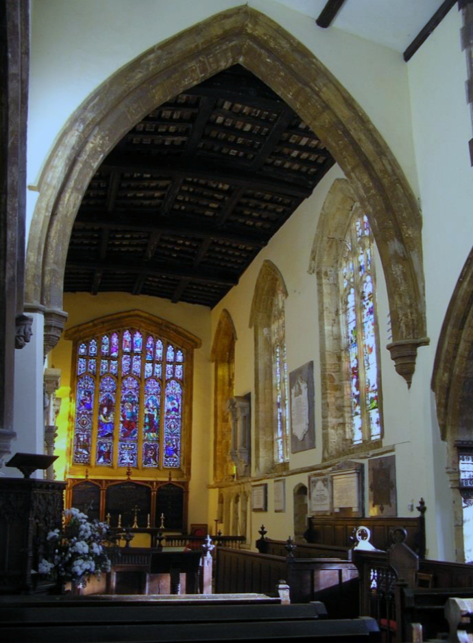 In the 14th Century, the north and south aisles were added, the nave roof was raised and the south doorway, with Norman mouldings and arch, moved to its present position. The project will support the installation of a universally accessible toilet in the northwest corner of the church cleverly sited within a reconfigured vestry. The refreshment area will be situated within the North aisle pews, with the sink unit and servery skilfully created from old pews. 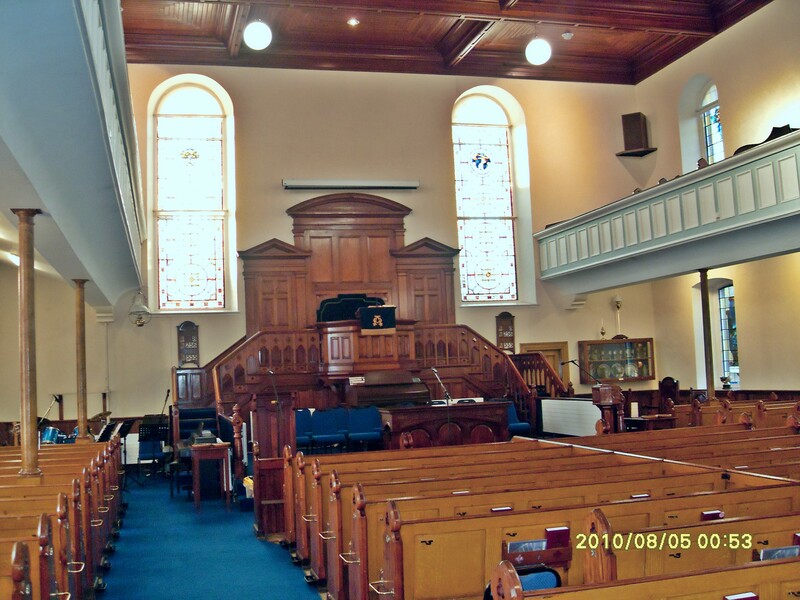 A £20,000 National Churches Trust Cornerstone Grant will help fund roof repairs at the Grade B2 listed Aghadowey Presbyterian Church, Coleraine making the church watertight and preserving its historic fabric. Built 1830, the Aghadowey Presbyterian Church was orginally built to accommodate a sizable congregation made up of linen mill workers who lived and worked close by. The church has two storeys with a high gallery round three sides focusing on the pulpit. Last year the congregation celebrated the 300th Anniversary of the migration from Co.Londonderry to New Hampshire. The project will address roof repairs which were first identified as urgent in 2016. The work involves stripping the existing slates and slating laths, repair to the timbers where moisture ingress has caused decay and repairs to guttering and downpipes. A £14,000 National Churches Trust Repair Grant will help fund tower and spire repairs at the Grade B+ listed St Philip and St James church, Holywood, making the church watertight and preserving its historic fabric. St Philip and St James began life in 1842 as a church built to replace an old priory building. It was then tripled in size and can now accommodate 500 worshippers. The architect for the church was Mr (later Sir) Charles Lanyon who also designed the main building at Queen's University in Belfast, later named the Lanyon Building. 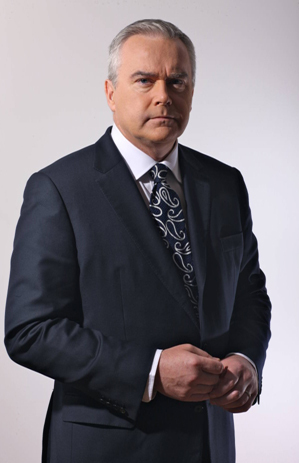 The project will address urgently needed repairs to the tower and spire. The spire is noticeably leaning due to the corrosion of iron cramps. The balustrade to the base of the spire is subject to a marine environment and in a desperate state. Gutters and downpipes are in the process of being repaired.